Trump's budget proposal is likely preserve military grants to Israel and Egypt. 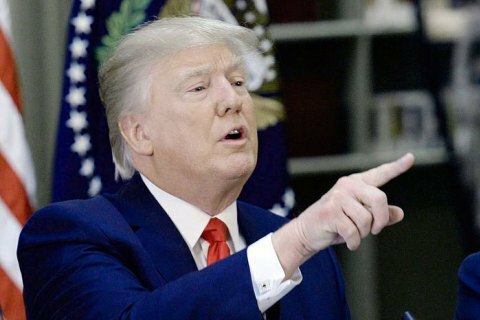 US President Donald Trump intends to propose a new draft of the US budget, according to which a number of countries, including Ukraine, will receive loans instead of gratuitous military aid, Deutsche Welle reported with a reference to The Wall Street Journal. According to the publication, the allies of the United States, who might be affected by the White House proposal, should not be given grants distributed by the State Department, but loans that these countries should spend on appropriate military purchases. Vietnam, Tunisia, Colombia, Lebanon, the Philippines, Pakistan and Ukraine are countries that would be offered loans to purchase US military equipment, instead of receiving cash as a grant. The new draft budget is expected to preserve the disbursement of military grants to Israel (which is the largest recipient of US military assistance), Egypt and Jordan. So far, Washington has spent about $ 6 billion on gratuitous military assistance every year. The US Congress has allocated about $ 560 million to Ukraine in various assistance programs, including military assistance and security policy. The size of aid planned for 2017 was halved compared to the previous year.